This entry was posted in garden and tagged 'Raspberry Blush', wordless wednesday on April 20, 2016 by pbmgarden. Looks more “raspberry” than in past years. Beautiful. Such a gorgeous colour. I remember admiring your irises last year. How nice you remember my irises. I’m looking forward to them. This is one of the early ones but others are getting nice fat buds. It’s been a wonderful spring here. I have one, ‘Beverly Sills’, that is almost exactly that color. It’s one of my favorites. 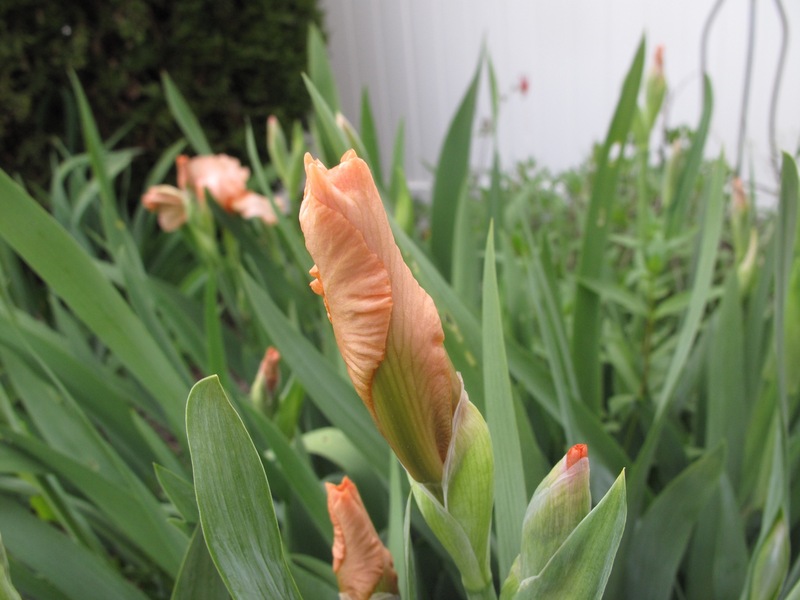 Our iris buds are plumping up early. It’s usually well into May when they bloom here. Thanks for the preview of coming attractions. Isn’t iris season wonderful? Your Beverly Sills does look similar. This is the first year that the color resembled raspberry a little. It’s not well named or perhaps even mislabeled. Most of my irises are purple or blue so this is an anomaly. It would make a nice textile color. A truly luscious Iris. Beautiful. Jason, this Raspberry Blush blooms a bit earlier than my purples and blues. It’s full of buds this year. I love this colour, irises are just wonderful aren’t they. I don’t know how I missed this post yesterday. 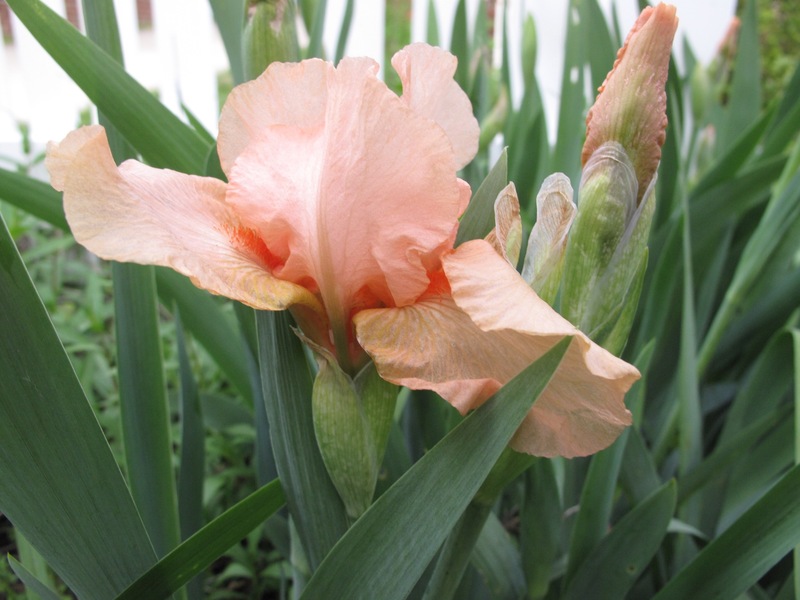 Yes, Irises are wonderful. Many here are still plumping up, not quite ready to open. Next week I think. Oh so very beautiful! 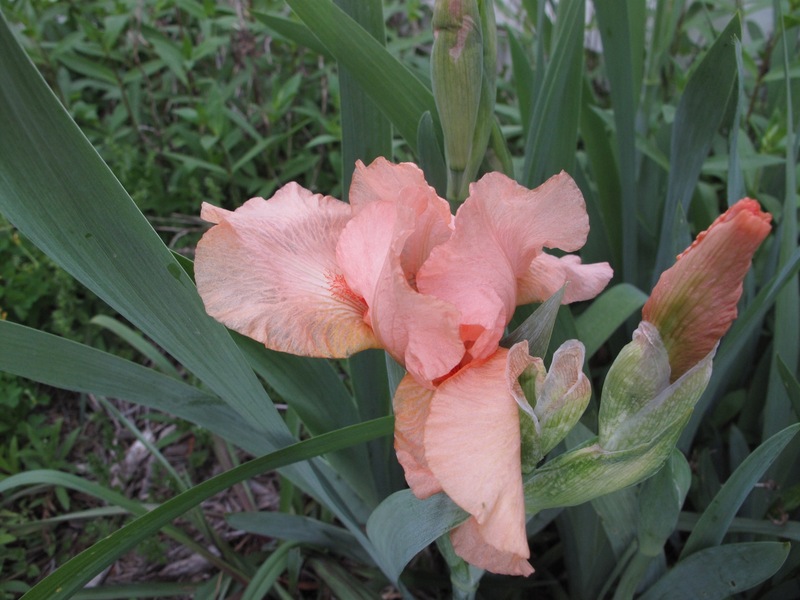 I have one white Louisiana Iris that has come out, but the others are still waiting…as am I! Thanks Libby, the irises are taking their time and I glad. It will make the show last longer. It’s been a lovely spring, don’t you think? Lovely color! I’m looking forward to see more of your irises. Thanks Pris. By next week I think more will be opening. A lovely colour, iris flowers are beautiful in their shape and detail, I would not wish to garden without them. I agree Brian, iris season is such a special moment in the garden.